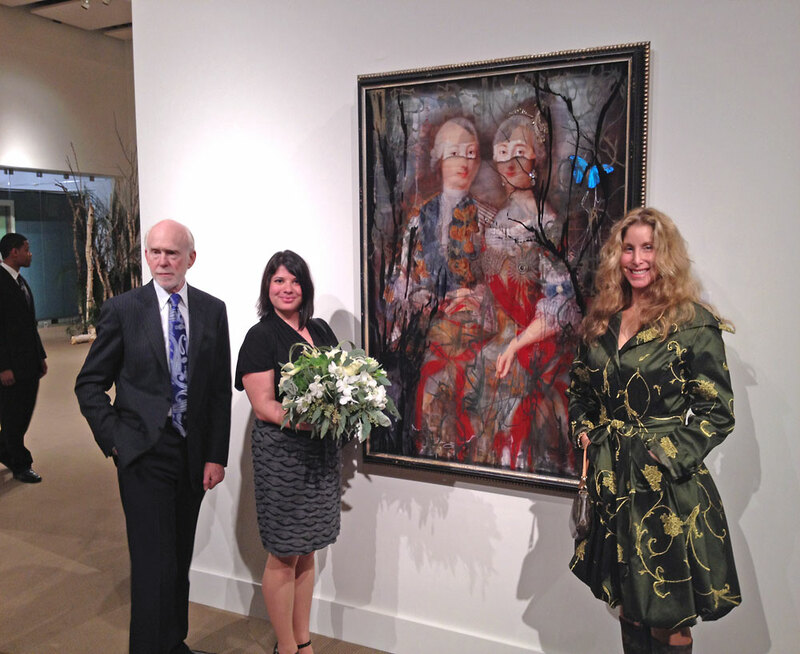 On November 5th, Ingrid’s work was featured at the Hermitage Museum benefit at Sotheby’s in New York. The benefit was arranged by the Hermitage Museum Foundation to raise funds to expand the Hermitage Museum to include a contemporary wing that will house 20th and 21st Century art works. 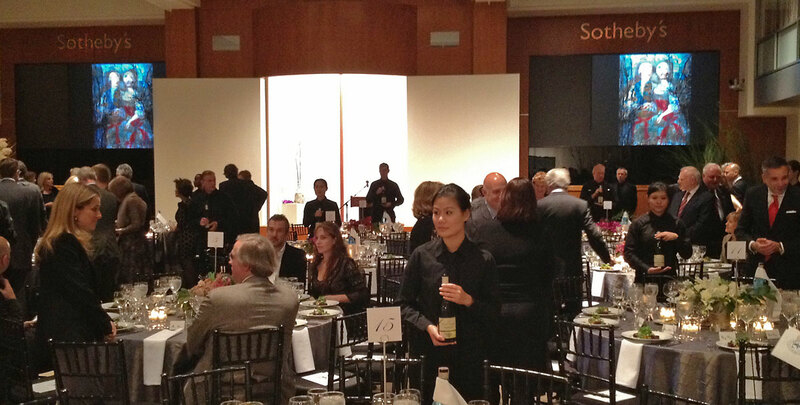 The prestigious $25,000 per table event included some of the biggest names in the art world. Ingrid’s artwork was the only piece for sale at the event. The evening began with a cocktail reception on the 10th floor of Sotheby’s in the preview rooms of the Contemporary Evening Auction. This important auction included masterpieces by Willem deKooning, Clyfford Still, Francis Bacon, Gerhard Richter, Andy Warhol, and more. We moved down to the 7th floor for the main event and dinner. Several important contemporary artists were honored for their impact on Russian art, and to the Hermitage Museum. These included: Cy Twombly, Sergei Bugaev Afrika, and Ilya & Emilia Kabakov. Of course, the height of the evening was when Ingrid’s piece “A Moment in Time” was auctioned off. She created this unique piece as an homage to Catherine the Great, founder of the Hermitage Museum in 1764. In the piece, Catherine, 16 looks to the future through a web of events connecting her to the past, and her impact on the future. It is a beautiful work. The auction was conducted by one of Sotheby’s auctioneers. The bidding began at a modest $5,000, and quickly rose to $10,000. There was a pause as several new bidders entered the auction bringing the piece up to $11,000, $12,000, $14,000. Ingrid and I watched with excitement as the piece ultimately sold for $16,000. What a thrill to have major collectors appreciate her work. And most gratifying to know that the money will benefit one of the most important art institutions in the world. Bravo and congratulations to Ingrid and the Hermitage Museum!